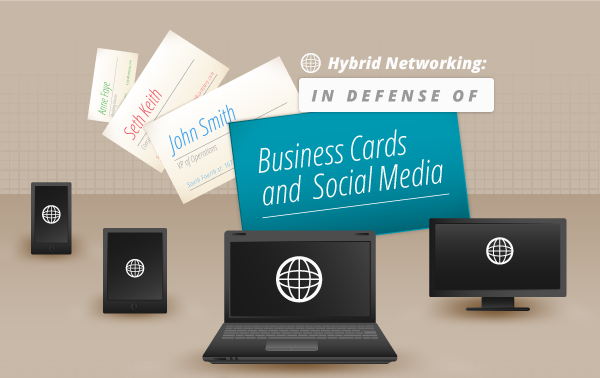 Infographic: Is Your Business Card Social Media Friendly? The digital age has now made it possible for individuals to produce and consume information at a rate never before seen in history. It has also made it possible for humans to build relationships through a virtual environment. People can now interact with each other by sending a request, a person following another person is no longer a form of stalking and a +1 is no longer restricted to Mathematics. Having these in mind, one would think that traditional modes of communication may no longer be relevant in today’s progressive and modern times. But is it? Our friends from Uprinting in association with Socialtimes.com have come up with an amazing infographic on how business cards have learned to adapt and survive in the digital era by incorporating techniques that allow users to present their online social profiles with the not so traditional printed business cards. So how did you find this inforgraphic? Do tell us by leaving a comment below.